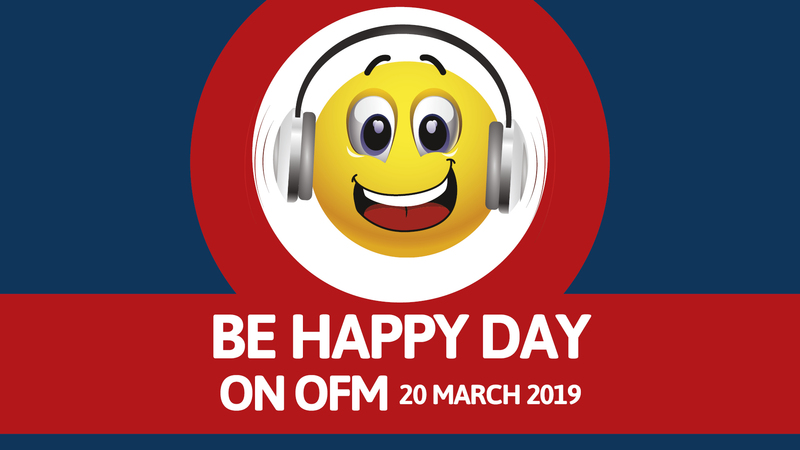 OFM will aim to spread happiness across the central region on International Day of Happiness, taking place on Wednesday, 20 March. 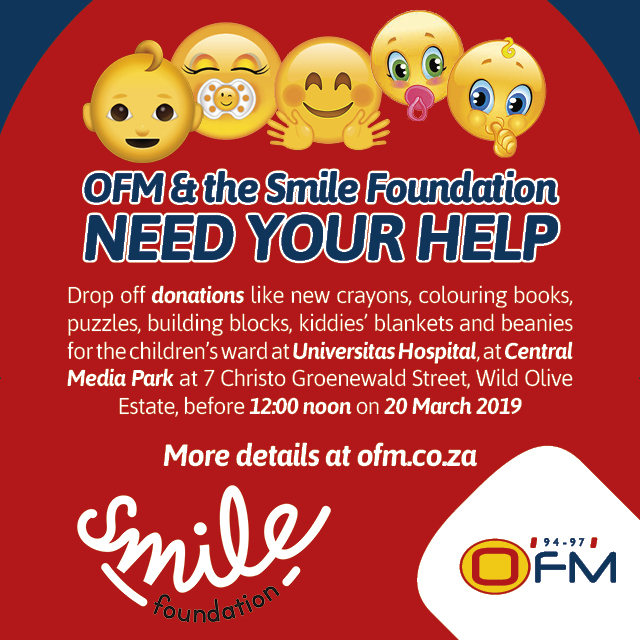 According to OFM, the initiative has become one of its most successful projects and is highly anticipated by both presenters and listeners alike. This year’s theme will be ‘Happier Together’, and will aim to focus on what people have in common, rather than what divides them. Music played on the day will be of a ‘happy’ nature, with news, sport and traffic also given a positive spin. A new feature this year will be the positivity pods. These pods will include snippets of inspiration from lifestyle coaches and international speakers, including Tony Robbins, Stacey Flowers, Kristina Lakhiani and Jacqueline Way, and will aim to put listeners in the right frame of mind. Listeners can tune in throughout the morning to find out how they can win their office a cake bust and let the station know what they think ‘the secret to a long and happy life’ is to enter the draw for a two-night stay at Emperors Palace in the Metcourt Hotel. The prize for two includes breakfast, dinner and Barnyard tickets. To enter, Whatsapp through a voice note to 084 222 9497 (data rates apply) on the day. The winner will be announced during Just Plain Drive. 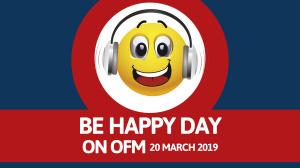 "Happiness Day is a firm favourite on the OFM calendar, and we can’t wait! In a world saturated by negativity and tragedy, and plagued by the ills of society, it is a welcome relief to celebrate goodness, happiness and fun. We hope to put a smile on as many faces as possible that day," says OFM marketing manager, Lindiwe Mtwentula. This year, OFM is supporting the Smile Foundation and is calling on individuals for support. The non-governmental organization, with a comprehensive healthcare vision for children living with facial conditions, has been supporting the department of plastic and reconstructive surgery at Universitas Academic in Bloemfontein for 10 years now. These items can be dropped off at Central Media Park at 7 Christo Groenewald Street, Wild Olive Estate, Bloemfontein before noon on Wednesday, 20 March. The United Nations has celebrated International Day of Happiness since 2013 as a way to recognise the importance of happiness in the lives of people around the world. In 2015, the United Nations launched the 17 Sustainable Development Goals that seek to end poverty, reduce inequality and protect the planet — three key aspects that lead to wellbeing and happiness. For more information, visit www.ofm.co.za. You can also follow on Facebook or on Twitter.